→McMoney Review – Scam or Legit App to Earn Passive Income? McMoney Review – Scam or Legit App to Earn Passive Income? 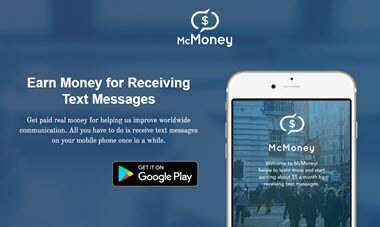 The company behind McMoney app claims you can earn around $5 per month just by receiving text messages. The possibility of making money without putting in any time and effort seems too good to be true, so what’s the catch with McMoney? Is it a scam or a real opportunity? $5 per month doesn’t pay all the bills, I know. You may want to check out my recommended step-by-step training that helped me reach $1,000 per month working from my laptop (no special skills required). McMoney is an Android app that allows you to get paid just for receiving SMS. There is no need to complete any survey or another type of task, which means you are earning 100% passive income. Earn money without doing anything. There are strict measures to protect your privacy. The application doesn’t consume significant device resources. It may take a long time to reach the minimum payout. There may be conflicts with messaging apps. There is no referral program. No. McMoney is definitely not a scam. The app is owned and operated by CM Telecom B.V., an international company specialised in secure messaging and SMS systems. It’s safe, and you will get paid! McMoney guarantees strict security measures to protect your privacy. Their “terms and conditions” page claims your data is stored in secure servers in the Netherlands and that all their services are based on ISO27001 standards. Also, you can rest assured you will get paid for receiving the texts. Why Does MacMoney Pay Users to Send Text Messages? It’s important to mention that the messages consist of random characters without any meaning. They are not spam, which means no advertising companies are trying to sell you any product. McMoney sends you these messages so they can test the SMS reach of mobile networks around the world. Their primary goal is to make sure these networks are transferring content properly. By the way, there is no need to keep the messages. You can just delete them right away. McMoney is only available for Android devices, so you can download the app via the Google Play store. Before you can set up your account, you should read and accept the terms and conditions. After that, you will have to provide your email address and phone number. Finally, you will receive a verification code that you will use to confirm your phone number. To receive messages, leave the app activated on your phone. If you don’t want to receive more messages, simply deactivate the app in the settings or uninstall it. McMoney claims you can earn about $5 per month. However, after reading many comments on the internet, I discovered that’s not always the case. From what I have seen on the internet, you can expect to earn $0.02 – $0.06 per SMS depending on your country. So, the more messages you receive, the more money you will make. The thing is, you never know how many messages you will get. It all depends on their testing needs. Some people receive 2 messages per day, while others get only 1 in 3 days. I guess you can expect to earn $2-$3 per month. That should be the average, but it’s possible to reach $5 per month if you are lucky. You can request payment via PayPal or donate to charity once you have reached the minimum payout. The minimum payout ranges from $1 – $6 depending on your country. McMoney is a legit app that you can use to earn passive income without having to share your personal data for marketing purposes. There is another similar app that you can use called Money SMS. 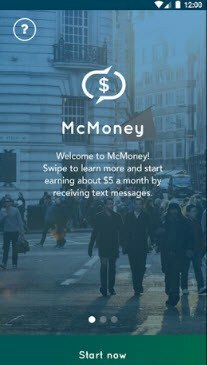 McMoney is a great app, but the income potential is too low. Therefore, you will probably keep searching for other opportunities to make more money online. Instead of settling for just $5 per month, you could realistically build a website that will work for your 24/7. It’s possible to earn over $1,000/mo passively in 1 or 2 years from now, but you should first accept the fact that it takes time and effort, especially in the beginning. The method is simple and doesn’t require any website coding or marketing skills. It`s all about creating a WordPress site, creating helpful content, and promoting other people’s products as an affiliate. Once you start getting a good amount of traffic (visitors), you will make money passively from all the posts you have written. 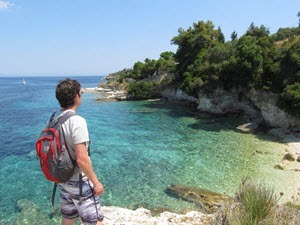 For example, whenever I go travelling for weeks or months, I still make a lot of money even though I am not working. There are no limits to how much you can earn as you can attract people to your site all over the world! For in-depth training on how to build passive income niche sites, check out my #1 recommendation. It’s proven to work and has a free membership you can try! Thanks for checking out my MacMoney app review. If you have any question, please leave me a comment below. How You know that, your random text is not any encrypted scripts, that hack your phone or if they read messages from as company representative told me. How they dont read sensitive texts from our phone. Are you Hacker or tech geek who know. It’s secure. If simple text contains viruses, adware, malware or mining Scripts. CM group is a HUGE company that operates in hundreds of countries. 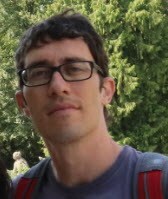 Their clients include institutions, TV stations and governments. I believe they would not involve themselves in hacking activities to risk their reputation.